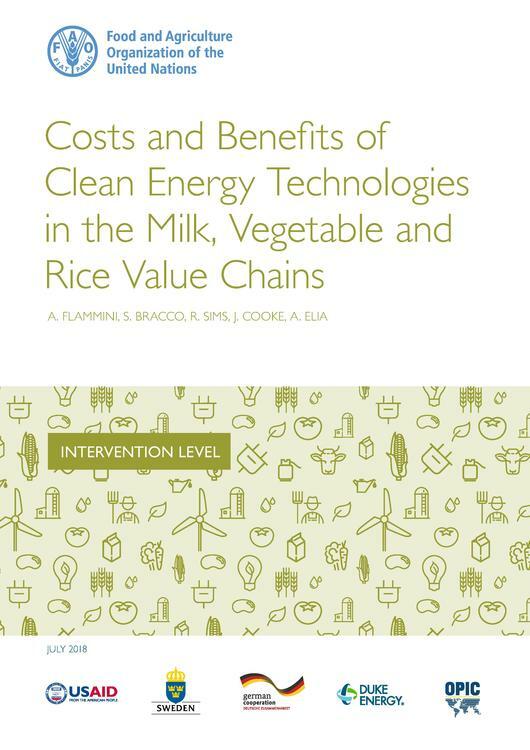 This first study of the INVESTA project (Investing in Sustainable Energy Technologies in the Agrifood Sector) focuses on three food supply chains, and analyses their costs, benefits and sustainability potentials as well as the unintended impacts at the intervention level. 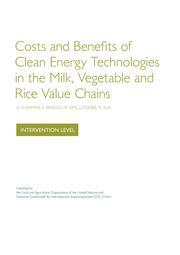 Decoupling the dependence of an agrifood value chain from fossil fuels could lead to several benefits, including increased resilience from shocks in the energy market, mitigation of greenhouse gas (GHG) emissions and, often, economic benefits for the operators. Developed to permit a sound and comprehensive cost-benefit analysis (CBA), the report also includes a discussion on the potential of the various technologies to contribute to gender equality. This page was last modified on 17 September 2018, at 15:08.